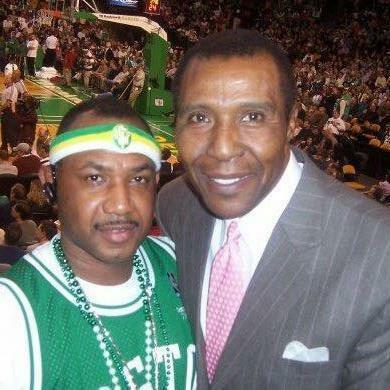 "Jo Jo White you gave me so much joy watching you play for the Boston Celtics. You are and always will my favorite Celtics of All Time. Watching run the floor with those low top sneakers always caught my eye. Best game for me was the against the Phoenix Suns in the NBA Finals. In those over time games you left it all on the floor. RIP my Friends #10 will never be worn by other Celtic but you. I want to thank you family for allowing us the fans to share you in your NBA Career. God bless the your family #your#1fan"
"ALWAYS enjoyed watching Jo Jo playing basketball with the Celtics while growing up. Thank you for your contributions in life...RIP Jo Jo White!" "Wow what a talent! Mr. White was loved by his fans especially those in Boston and will be missed by the NBA organization. Jo Jo is not in pain anymore. The Bible compares death to a deep sleep. You will be missed by many people worldwide. My prayers go out to Mr. White's family." "As a youngster in Lawrence,Ks back in the days, i adored and loved JoJo, hoped ii could perform half as good as he did. Folloed this man through his whole career from Kansas to his final suiting up with the Kings. May the good lord be with you and your lovely family. You were the greatest, on and off the floor.. You will be deeply missed. Lynn Adkins"